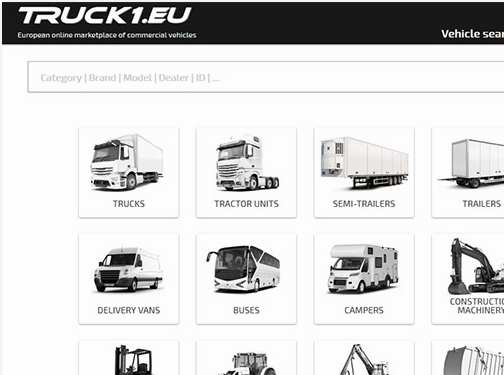 Truck1 is a marketplace of commercial machinery for dealers and buyers from all over the world. Now it’s available in 21 languages and offers more than 200 000 units of vehicles such as trucks, trailers, material handling equipment, forestry equipment, agricultural machinery. UK (Rīga, Latvia) based business - established in 2003 - providing commercial machinery for sale and hire. Website includes details of services provided, terms and conditions, associations, full contact details including VAT number.